Platform-worries aside, there’s no denying that Duels of the Planeswalkers successfully captures all the appeal of the card game it’s drawn from – and there is a lot of appeal there, contrary to the cynicism that we approached with. It’s no wonder the game has a reputation for being so addictive when it’s this fun! The attraction of Magic: The Gathering is, we’ve discovered, that in-game successes are made of equal parts luck and skill, which makes Duels endlessly unpredictable and replayable. Much of the game is decided purely by chance, especially when it comes to what cards you start a match with, but for regular players there are incredibly deep strategies too. Which type of deck do you prefer? Is it better to prioritise summons early on, or go for instant damage spells? Should you lay powerful permanents down as soon as you can, to power up lesser critters, or do you hold them back for a big coup de grace? There are countless decisions to weigh up, making every move enjoyably risky and tense. Well, potentially anyway. Investing yourself in Duels of the Planeswalkers enough to have any emotional feedback does require a bit of imagination and passion, we admit. It can be incredibly rewarding and tactical if you want it to be, but if your enthusiasm isn’t up to the job then it can also be a tedious and dull experience that, at its most exciting, has a couple of 2D images sparking on-screen. 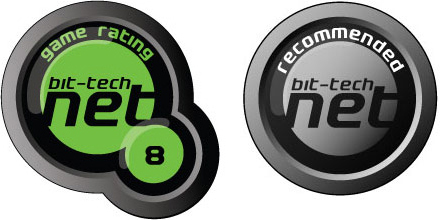 Simply; if you’re interest in computer games extends only as far as the latest shooters then Duels of the Planeswalkers will leave you unmoved. 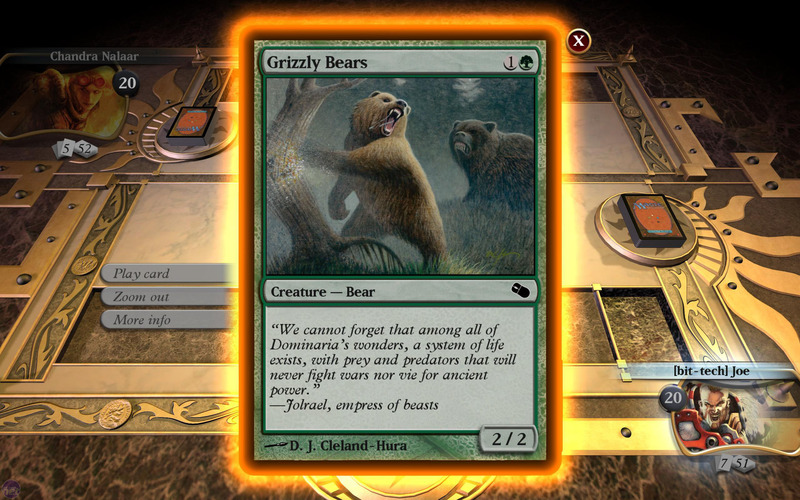 It may have grizzly bears fighting elephants, but all you're going to see is some glittering cards. One other thing that’s important to bear in mind for Duels of the Planeswalkers is the fact that, just like the card game, it’s never going to be entirely complete. For the card game that means fans are always being coaxed into buying new cards and booster packs, but for Duels that means there's DLC on the way. It’s unclear how much DLC there will be or how much it will cost and it's worth stressing that Duels allows plenty of value on it’s own, with 20 singleplayer levels and a multiplayer component. At £6.99 it's a great bargain. 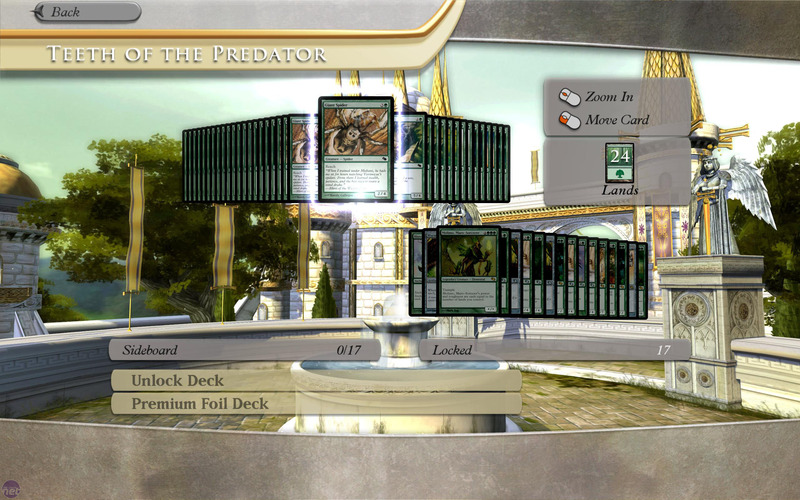 Still, it’s worth pointing out that the first expansion pack is already being advertised and that there are premium features packaged into Duels which allow you to, for example, unlock entire decks instantly for a fee. Judged on it’s own Duels of the Planeswalkers is still a great game though and one whose multiplayer features will likely benefit from the success of the franchise. There are some definite issues – namely the slow pace with which some battles can play out and the lack of ‘skip turn’ button, but they aren’t enough to spoil the game as a whole. Not when it's this deep and interesting. If you’re familiar with the world of Magic: The Gathering then Duels of the Planeswalkers offers a new outlet for your hobby and manages all the complicated bits for you. No longer will you have to worry about accidentally forgetting to account for First Strike or losing track of tapped resources. Likewise, the fact that the computer handles all these things makes it an excellent introduction for newcomers who would otherwise be put off by the expense and extent of the paper-based original. Duels of the Planeswalkers isn’t flawless. Battle Chess still has the edge as far as these things go, but if you’re looking for a computer-based version of Magic: The Gathering then this is definitely the best we’ve seen. The latest Top 10 Games Chart, from ELSPA, GameStation and Steam. Best described as a multiplayer mash-up of Tron and X-Com, Frozen Synapse looks terrific.